Have you ever dreamed of a life where you made the rules for feeling your best? 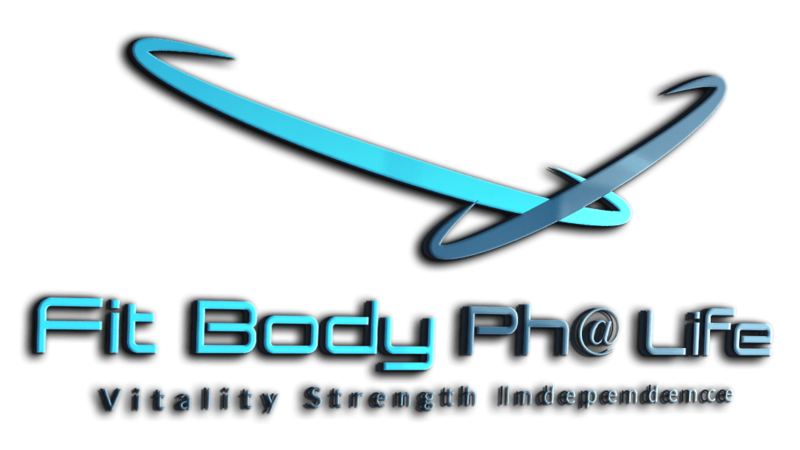 To be able to curb the unwelcome side effects of aging and establish life long vitality, strength, and independence? Of course you have! I call it a FIT BODY PH@ LIFE. We all want the best for ourselves - and we look up to our favorite celebrities, role-models, and friends for advice and guidance. We follow one trend or the other, sometimes for months - more likely for weeks, and then we give up. I know how it feels - I’ve been there. What I’ve learned, and what I’m eager to share with you is the fact that it was not your fault! If you judge a fish by its ability to climb a tree… Well, you know the saying. More importantly, what it means is - WE ARE ALL UNIQUE. In order to make the progress and live your best life, you need to follow a program and a routine that fits your needs, lifestyle, and desires. I paid my dues in the hamster wheel. I did what everyone said was the best way and I was still feeling lost, gaining and then trying to lose the weight, believing that being tired and struggling all the time is the name of the game called aging. It’s not. What you need in order to develop yourself and your body is a consistent, committed approach to health and a personalized program that doesn’t ignore your mistakes and slip-ups, but takes them into account and develops them into strengths. Everything is possible when we manage our expectations. Sustainable health, fitness and weight loss takes patience, time and support - and I’m here to offer you just that. We will leave the safe waters of never-good-enough and explore the exciting palm tree shores of your new life. I will be your voice of reason, your biggest fan, and your greatest support - together we will develop and maintain a steady and sustainable program that will lead you to the ultimate goal - vitality. When your face is radiant and you feel strong and powerful, your body and mind will follow suit - you will look great and feel amazing, and you know what? Ultimately, beauty will come from the inside, from the fact that you now know what you can do when you apply yourself when you stay strong and committed - when you learn that all it takes to succeed is YOU - your very best! With me as your personal health and training lifestyle broker, you will not only develop great body and strong health, but new habits and goals which will translate to other areas of your life as well - you will become more successful at work and will be able to develop healthier and more productive relationships. Nothing is standing in the way of your dreams. LIVING THE LIFE YOU LOVE JUST MIGHT BEGIN WITH A FIT BODY PH@ LIFE SUCCESS SESSION. DON’T WAIT TOO LONG TO FIND OUT!